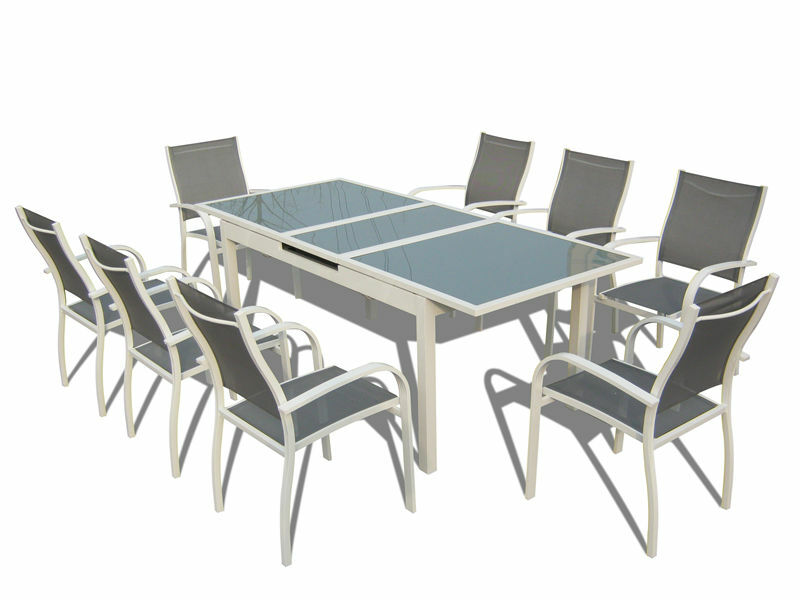 Aluminum extendale dining table with tempered glass. The garden furniture Set is designed for outdoor use but would not be out of place in the finest living rooms. The beautifully designed frames are made from rust-proof aluminum and all welded so only table assembly necessary. The set consists of 8 chairs,1 KD table. Enjoy time with family and friends with the beautiful garden furniture set. Frames are made from rust- proof aluminum and are powder coated for extra protection. Frames are all- welded so only table assembly required. Set includes: 6 chairs,1 KD table. Looking for ideal Garden Furniure Patio Set Manufacturer & supplier ? We have a wide selection at great prices to help you get creative. All the Living Room Furniture Set are quality guaranteed. We are China Origin Factory of Dining Set with 8 Chairs. If you have any question, please feel free to contact us.